You might see in many sites that Pinterest pin it button and other social share buttons appears when the mouse cursor hovers on images or when highlighting several texts. You will be having a social share buttons in each post which makes your site visitors easy to share the post on social networks. Other than that add a Pinterest pin it button on image hover which makes your blog readers easy to pin images on Pinterest. You all know that Pinterest which is a popular image sharing and bookmarking site. Also you must note that Pinterest drives more traffic to your blog than Twitter or LinkedIn. Especially if you are more into photography then it’s sure you will be running a blog about photography. 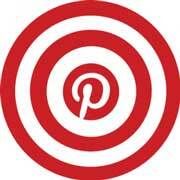 Why not popularize your photos and images by adding a Pinterest pin it and other social share buttons. If you want to make your content go viral then you have to add micro content sharing. Here we will see few wordpress plugins that will add Pinterest pin it button and other social share buttons on image hover as well as on highlighting text. We will see some best free and paid wordpress plugins that adds Pinterest pin it button and other social share buttons on image hover and on highlighting text. First one comes the Official markerly widget which is light weight, free and easy to use plugin that makes your content go viral by micro content sharing. This is a multipurpose plugin that adds instant sharing on text highlight as well as on images. You will have three styles; you can change the button color and it supports sharing to Facebook, Twitter, Pinterest, email and comments. Users can share micro content by highlighting text and they can pin your images to Pinterest when hovering images. Second one is the Wp easy social hover plugin which is a paid plugin. If you’re running a stylish blog or photography blog then this plugin adds additional style to your images. This plugin adds a stylish jQuery social buttons on image hover also it has 12 cool hover effects and 10 cool hover backgrounds. With wp easy social hover you can add elegant Facebook like, Twitter, Pinterest pin it button, LinkedIn and Google plus sharing buttons on images. Social Image Hover is another paid plugin similar to the above. This plugin adds silky smooth hover effect to all your images with instant sharable buttons to Pinterest, Facebook, Twitter, LinkedIn, Google plus and more. It includes AJAX settings panel, 8 hover effects and also it supports share buttons on responsive images. If you wish to add just Pinterest pin it button on image hover then this plugin is for you. This is a free and easy plugin, just install and activate this and see the Plugin adding Pinterest pin it button on image hover. With this plugin users can easily share all your images to Pinterest. Make all your images sharing simple by adding slingpic wordpress plugin. Slingpic is a free image sharing tool that reveals a share button on image hover. Users can email your images easily and share it to multiple social networks like Facebook, Twitter, Pinterest and more. Hope this plugin will be useful for you to add Pinterest pin it button and other social share buttons on image hover as well as in text highlight. Share it so that others know about adding Pinterest pin it button on image hover in wordpress. Subscribe to our RSS feeds to get more updates.